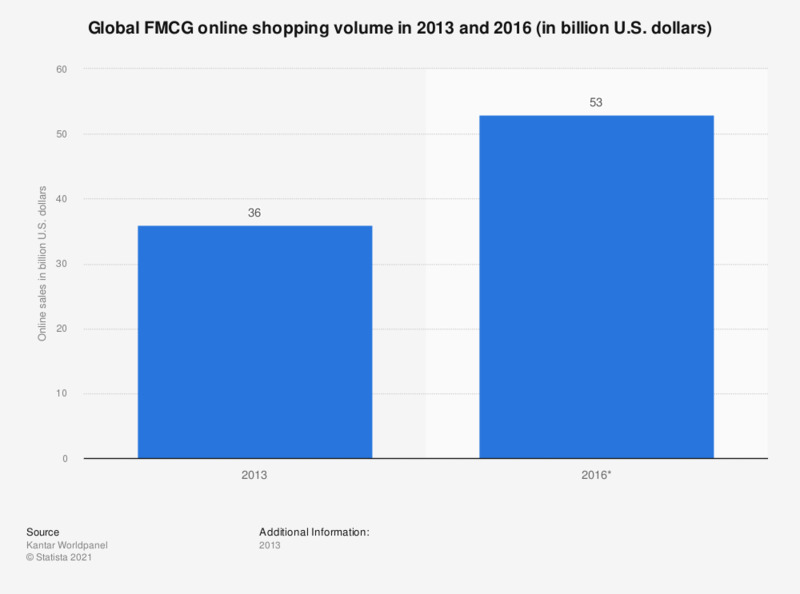 This statistic presents the worldwide FMCG online shopping volume in 2013 with projections regarding 2016. In 2016, global FMCG e-commerce sales are estimated to reach 53 billion U.S. dollars, a 47 percent growth from the current 36 billion U.S. dollars. At which purchase value do you think the online store should pay the delivery cost? Do you agree with having to register with an online shopping website? Do you agree with websites saving your last online purchase information?